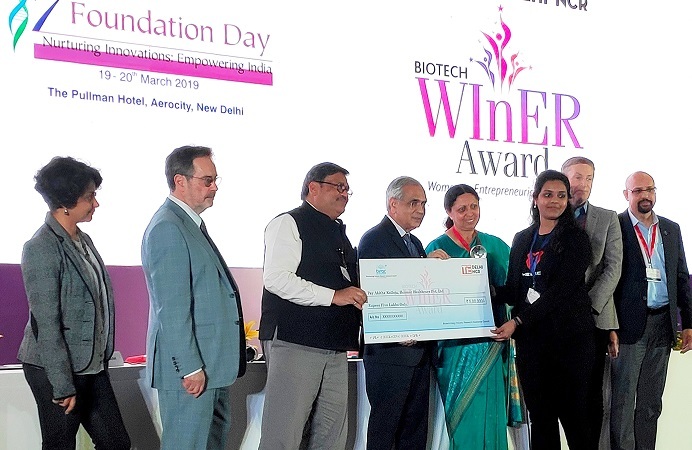 While BIRAC TiE WInER Award 2019 for Women was recently presented to Heamac Healthcare which is developing smart phototherapy system for Neonatal Jaundice, the Hyderabad-incubated startup BeAble Health's ArmAble which is Gamified Arm Rehabilitation Device for neuro-rehabilitation of stroke victims, was unveiled by Dr Rajiv Kumar, Vice Chairman, NITI Aayog. IMAGE: (R_L) Dr Manish Diwan, head (SPED); Dr Chris Karp, Director, Discovery and Translational Sciences, Bill and Melinda Gates Foundation; Ms. Akitha kolloju, Co-Founder, Heamac Healthcare Pvt. 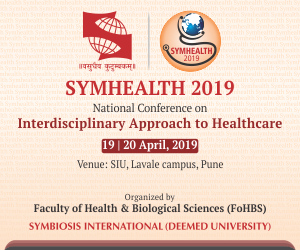 Ltd, CfHE, IITH; Dr. Renu Swarup, Secretary, Department of Biotechnology & Chairperson, BIRAC; D .Ravi Kumar, Vice Chairman. NITI Aayog; Dr. Mohd Aslam, Adviser, DBT & Managing Director, BIRAC; Dr. Ted Bianco, Former Director, Wellcome Trust, UK; Upasana Sharma, Director, TIE-Delhi, at the 7th Foundation Day of BIRAC on 19th March 2019 at New Delhi. 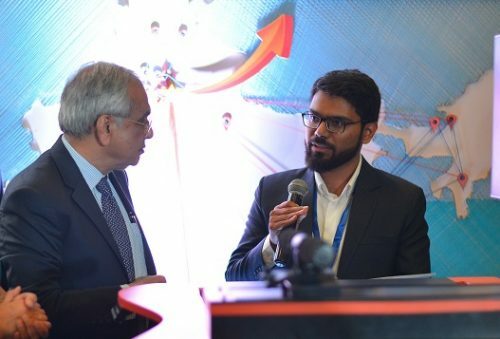 Hyderabad: Indian Institute of Technology Hyderabad-incubated startup, BeAble Health has developed a Gamified Arm Rehabilitation Device for neuro-rehabilitation of stroke victims and motor rehabilitation of victims with the upper motor deficit. The ‘ArmAble’ was unveiled by Dr Rajiv Kumar, Vice Chairman, NITI Aayog, in the presence of Dr Renu Swarup, Secretary, Department of Biotechnology, during Seventh Foundation Day celebrations of Biotechnology Industry Research Assistance Council (BIRAC) on 19th March 2019 at Delhi. Also, during the Foundation Day, ‘BIRAC TiE WInER Award 2019 for Women’ was presented to Ms. Akitha Kolloju, Co-founder of HEAMAC Healthcare, which was also incubated by IIT Hyderabad. The founders of both startups graduated from the Fellowship Program offered by the Center for Healthcare Entrepreneurship (CfHE), IIT Hyderabad, which trains individuals from various disciplines towards innovations in Healthcare. BeAble Health works towards enabling health and lives through the convergence of good design and technology. ‘ArmAble’ is their first product and is aimed at solving a pressing need for intensive, engaging and regular rehabilitation therapy for Upper Limb. It is aimed at conditions such as Cerebral Palsy, Multiple Sclerosis, Traumatic Brain Injury, Fracture and Frozen shoulder. The key features of ‘ArmAble’ device include affordable, engaging Game Based Therapy, higher Repetitions and Intensity, data based quantified progress and recovery, full ROM for the Arms and Tele-Rehabilitation. As a part of the BIRAC’s 7th Foundation Day, BeAble Health was selected to unveil its product ‘ArmAble’, which has been supported by BIRAC under the BIG Scheme. The product was unveiled in the presence of Dr Mohd. Aslam, Managing Director of BIRAC, Dr. Ted Bianco, former Director, Wellcome Trust U.K., Dr Manish Diwan, Head (SPED), BIRAC, Dr PKS Sarma, Head (Technical) BIRAC. Ms Akitha Kolloju, who co-founded Heamac Healthcare along with Mr Prasad Muddam, is developing a ‘Smart Phototherapy System for Neonatal Jaundice,’ which promotes an uninterrupted treatment while breastfeeding and Kangaroo Mother care. 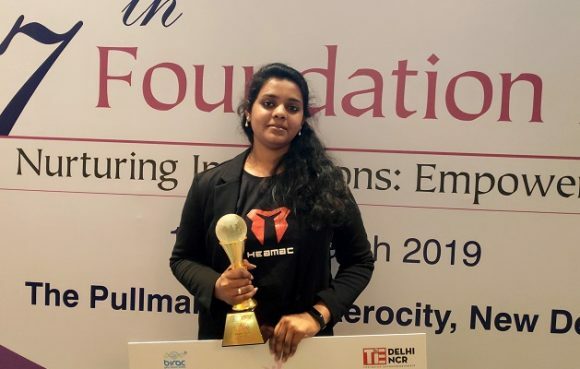 Akitha Kolloju, Co-founder of Heamac Healthcare, with the ‘BIRAC TiE WInER Award 2019.